A little more than two weeks out from my return to Prague! My 6 months of “home assignment” and my time associated with the wonderful treaty, that strikes fear in the hearts of men and women alike (known as “TOTALIZATION“) is all nearly behind me. Yeah TOTALIZATION is kind of a big and scary word, to say that every 5 years I have to be out the country for 6 months because of tax and social security purposes. All that being said, my time is nearly behind me and we’re, Míša and I, are still needed and trusting God to show up in some big ways in the next 2 plus weeks. So we are in RALLY CAP MODE! 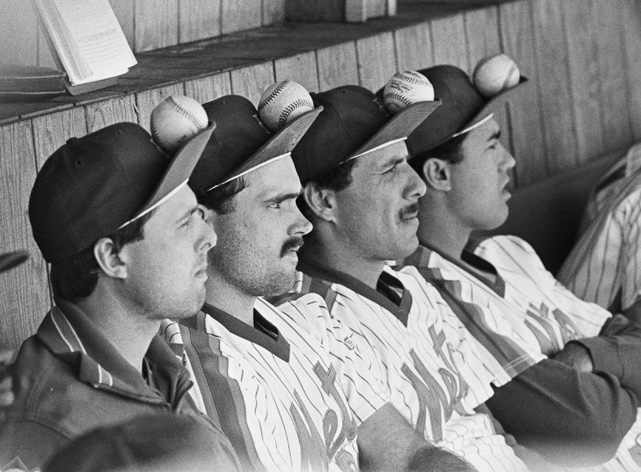 It takes me back to my little league days when I played for the Genoa City Mets, yea the Mets of all teams. We weren’t very good and therefore we perfected the art of the “Rally Cap” and to be honest, I’m a Cubs fan, so that is a bit more common, because that is often times all us Cubs fans have! I know it’s sad, pray for me. Here’s the deal. We are still $800 out from our minimal monthly goal, so that Míša and I can serve together with TEAM. Would you help us meet that goal? As I wrote in our 13% post, reaching our goal and even surpassing our goal is very, very, very doable, but we need help from you and we need God to show up in a big way! I’m (Zach) still trying to fill my schedule and get in front of as many people as possible, because that gives us the best chances of meeting our goals. One of our biggest needs is actually getting in front of more people, through any means possible. Would you consider forwarding, or passing on, this post and/or our website to people that might be interested in partnering with Míša and I to make a difference in Prague, Czech, Europe and beyond? Or if there is a chance would you consider even trying to host coffee, dinner and/or dessert for interested people before I leave on the 30th? WE CAN DO THIS! THROW ON YOUR RALLY CAP AND JOIN MÍŠA AND I STARTING LIFE AND MINISTRY TOGETHER AT FULL SUPPORT!